A Youth Entrepreneurship Forum involving around 200 young people recently took place in Dushanbe, the capital and largest city of Tajikistan, with support from the World Bank Group, as part of the Government of Tajikistan’s National Entrepreneurship Week. The purpose of the event was to increase awareness on the importance of entrepreneurship for job creation and economic growth and exchanging ideas around entrepreneurship for youth in Tajikistan. At the forum, international and local experts introduced key concepts of entrepreneurship such as how to set up and manage a business, how to make entrepreneurial decisions and identify new business opportunities. 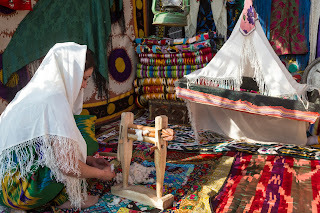 The World Bank’s ongoing portfolio in Tajikistan includes 24 projects (including regional projects and Trust Funds) with a net commitment of US$ 383 million that aim to support economic growth through private sector development, while investing in better public services for people, such as education, health, municipal services and social protection.